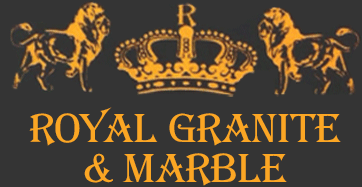 Not only can Royal Granite & Marble provide you with the countertops, floors, backsplashes and cabinets for your home remodeling project, but we also licensed providers of SMC sink, faucet and accessories. 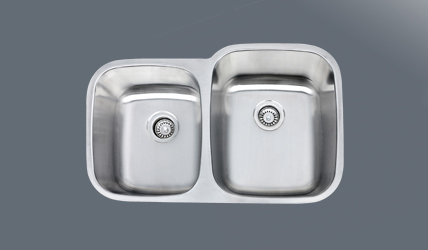 If you are in SAlisbury, MD and surrounding areas and are looking to upgrade your old kitchen sink, look no further. 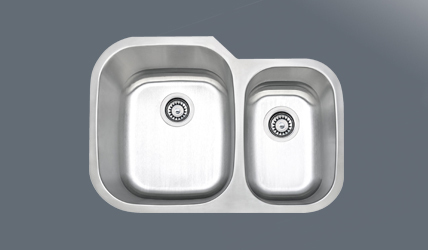 We have stainless steel sinks that look great in all kitchens, as well as high quality bathroom sinks and bathroom sink faucets. Let us add the final touches to your kitchen or bathroom renovation! 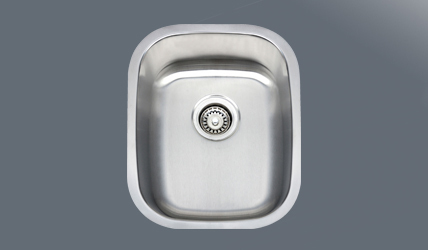 For more information regarding any sinks, faucets or accessories, please call us directly. 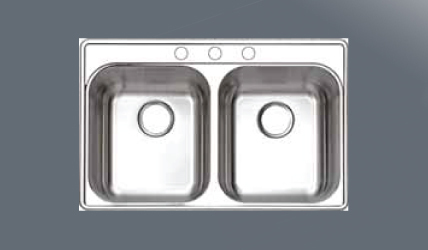 We recommend use of mild liquid dish detergent and water to clean the product after use. Rinse carefully with water and dry. 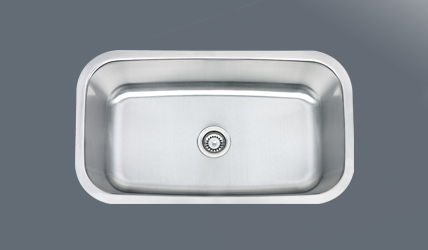 This will help you keep the original quality of your Stainless Steel Sink. Stainless Steel does not rust. Rust stains are a result of iron particles, from outside sources such as cookware, water; steel wood pads etc., that eventually develop into rust spots. Do not use scouring powder or steel wool to clean the surface. Silver polish leaves spots and it is not removal. Acidic foods should be cleaned immediately. Sharp objects can scratch the surface. Do not let liquids dry on the surface. When it comes to maintenance, the best thing you can do is be consistent in your cleaning. 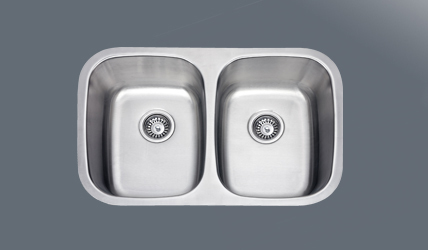 It is preferable to clean a little on a frequent basis than a heavy duty cleaning once in a while. 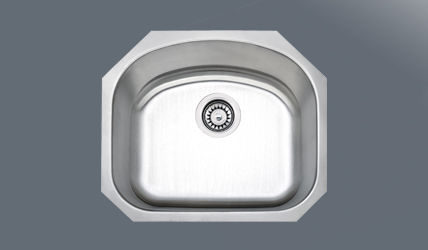 You should make sure that the sink is always clean and dry when not in use. This is the best method of preventative maintenance. 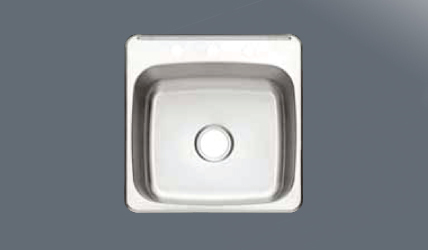 Keep the sink water spot free and shiny by rinsing and towel drying after every use. 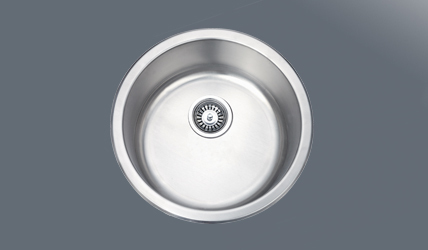 Keep the single clog free to prevent standing water which can lead to mineral deposit build up. If a mineral build up should occur, use a mixture of vinegar and hot water to remove the deposit. 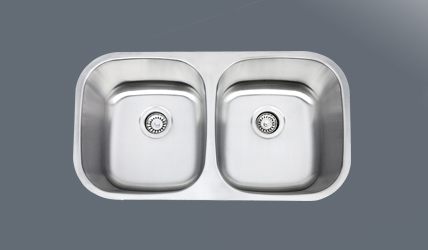 To clean your sink, use a non-abrasive cleaning cloth combined with a mild cleaning procedure. Use a soft cloth and liquid detergent on a mirror finish deck. For tougher stains use a mild abrasive cleaner like Ajax or Comet. Follow the direction of the grain when cleaning or scrubbing away stains, Scrubbing against the grain will show as a scratch. Do not leave soaps and other cleaners in your sink overnight. Do not use solutions with bleach. 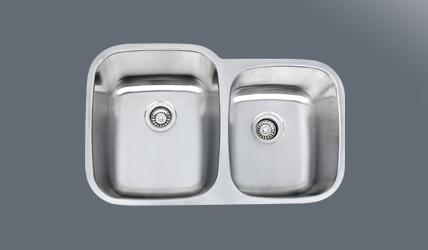 All of these contain chemicals that may damage your sink if left on the surface. 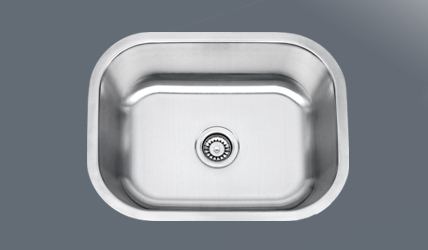 Do not use steel wool on your sink. If aggressive cleaning is needed, use a Scotch-Brite pad and rub in the direction of the satin finish lines. Do not leave bars of soap, wet sponges or cleaning pads on the faucet ledge. 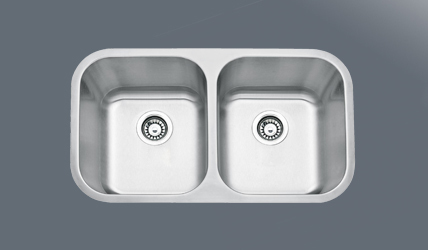 These items over time will dull and possibly pit the surface of your sink. Improper applications such as exposure to corrosive chemicals, etc. Surface Scratches. 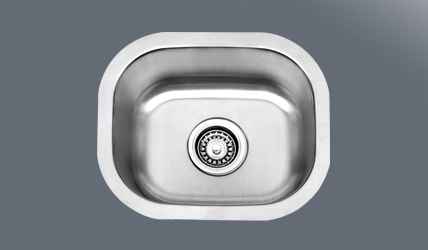 (Scratches are inevitable in any sink material, including stainless steel. Please check your merchandise carefully before leaving our warehouse. SMC Hardware USA Inc.,is not responsible for any broken merchandise discovered afterwards outside of our warehouse.